Many foragers, hikers, herbalists and conservationists consider it a travesty that instead of pulling and eating their edible weeds people throw chemical weed killer on them. It’s bad for the water table and our health. Dandelions that are so prevalent in our gardens now are fully edible raw and full of vitamin A. One cup of chopped dandelion is said to have 111% of your daily vitamin A intake, for example. 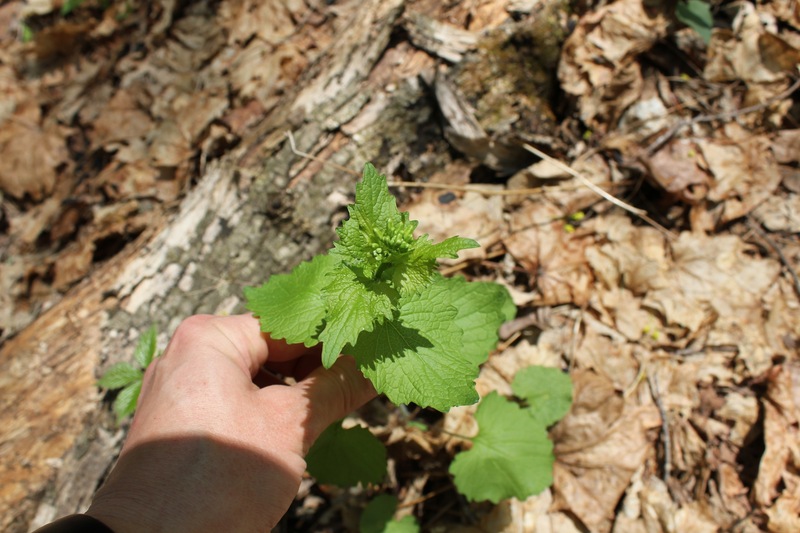 This entry was posted in Foraging and tagged Conservation, Edible Weeds, Farming, Foraging, Garlic Mustard, Invasive Species, Legal Edible Weeds, NYNJTC, Pesto, Weeds on May 11, 2015 by JNUrbanski.